How to write versatile, robust Bourne shell scripts that will run flawlessly under other shells as well. De-mystifying patches and the tools used to create and apply them. 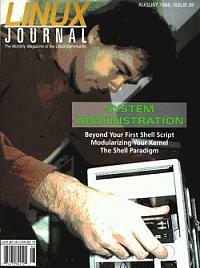 Make your system leaner by modularizing the kernel. Taking the Shell Paradigm to its Brutal Limits. Whether you use Tcl, shells, Perl, or C, there is usually an option whereby tools from one programming environment can be imported into another. Here's how to “push the envelope”. Customizing the Desktop. Organize and customize those pop-up menu entries.